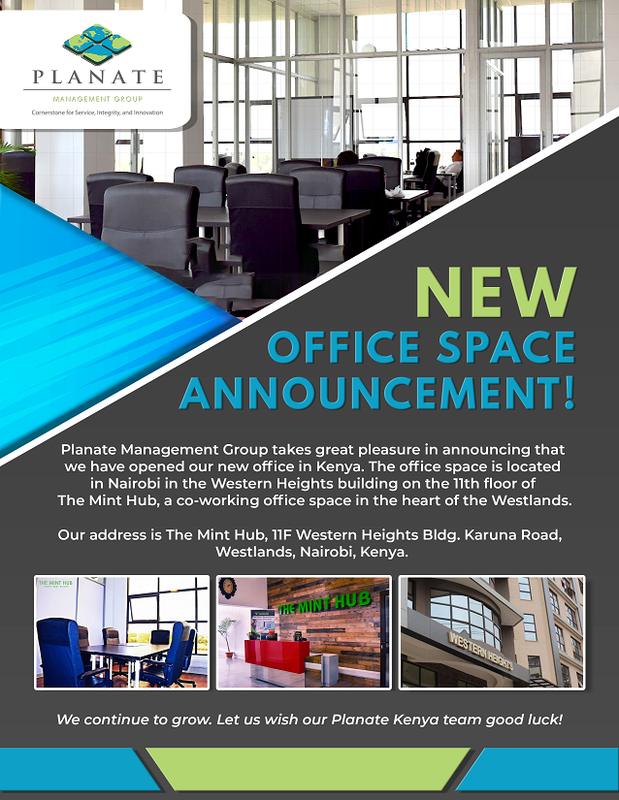 Planate Management Group takes great pleasure in announcing that we have opened our new office in Kenya. With the opening of this new office, we will be able to provide real time, world-wide engineering coordination covering three global locations covering 24-hour a day operations worldwide. In addition, our Kenyan colleagues have specialized experience in British/EU Electrical Standards that will help Planate’s mission in a variety of deployed areas.